I attended New York Magazine’s Wedding Event last night at the Metropolitan Pavilion. I went last year as a bride-to-be and I was eager to be there as a blogger this time around. I always encourage brides to attend every wedding expo available to them and NY Mag‘s is the crème de la crème of wedding conventions. Just about all of the biggest names in the wedding industry participate in this yearly gathering. And just about every in-the-know Tri-State-Area bride attends. Need a venue? You’ll find the best locations at the Wedding Event. Want a sampling of some of the best caterers in the city? They’re there. Undecided about reception entertainment? 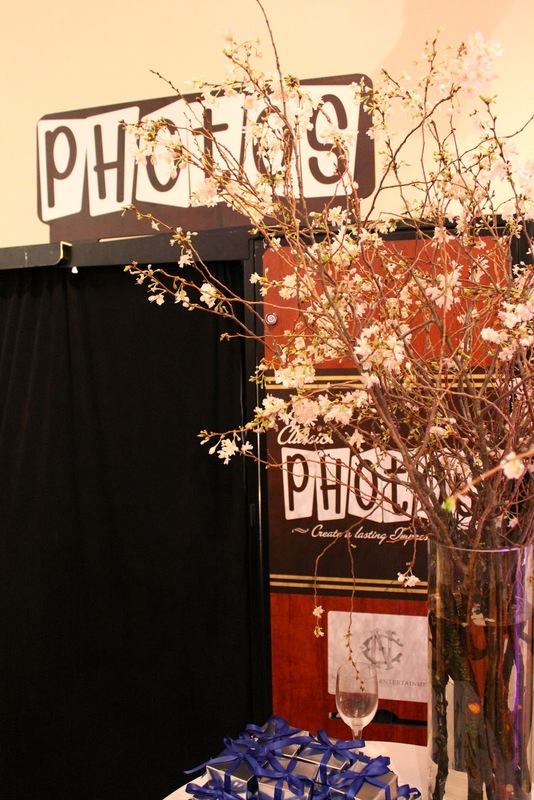 Bands, DJs, photo booths, etc. are all present. Everything you could ever think of and everything you never even imaged existed that is wedding-related is there. Below are some photographs taken at last night’s event. My next post will feature my favorite participating venders for a not-to-be-missed Part 2. Large retailers often participate in these events to showcase all of their services. From buying your gown to building your registry, these are great one-stop-shops for most of your wedding needs. SWANK Productions displaying a fraction of what they can do for your big day. There were a few jewelry companies present at the event. 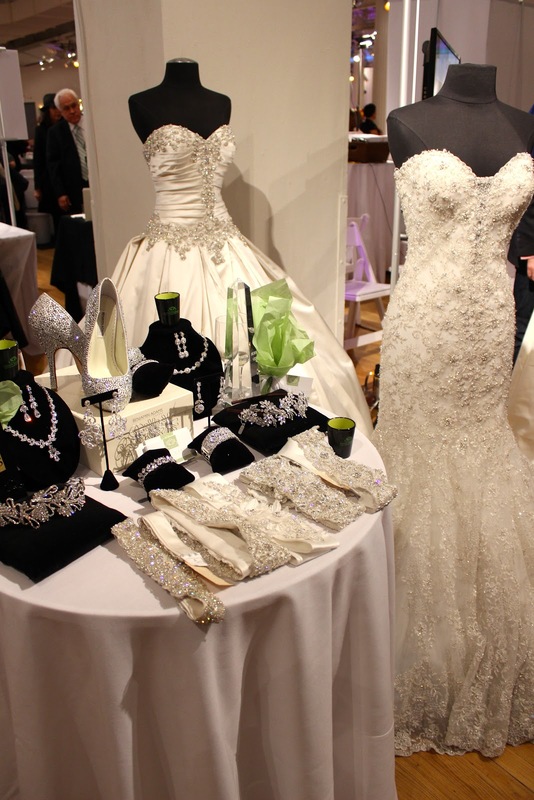 Many of these companies advertised their engagement rings, bridal jewelry for the big day and gifts for the special people who play a big role in your life. Food as art? Totally! 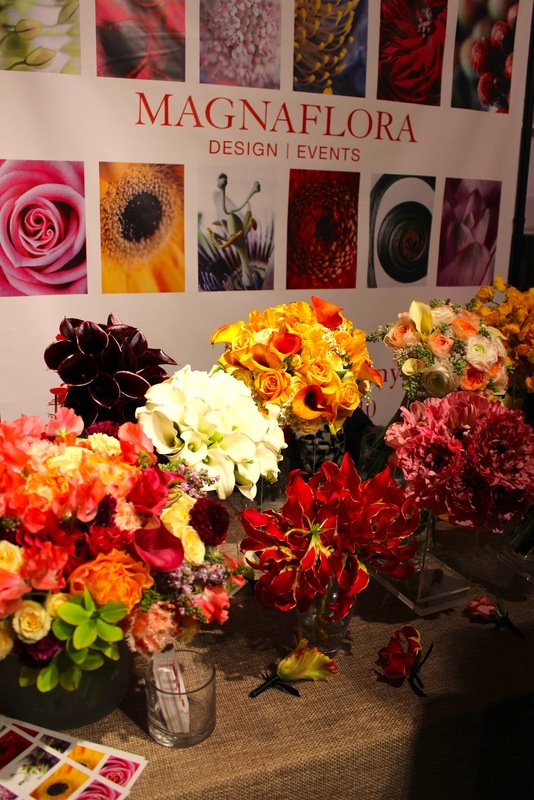 Check out the stunning displays below. It almost makes you not want to eat anything because of how beautiful it all looks…almost! 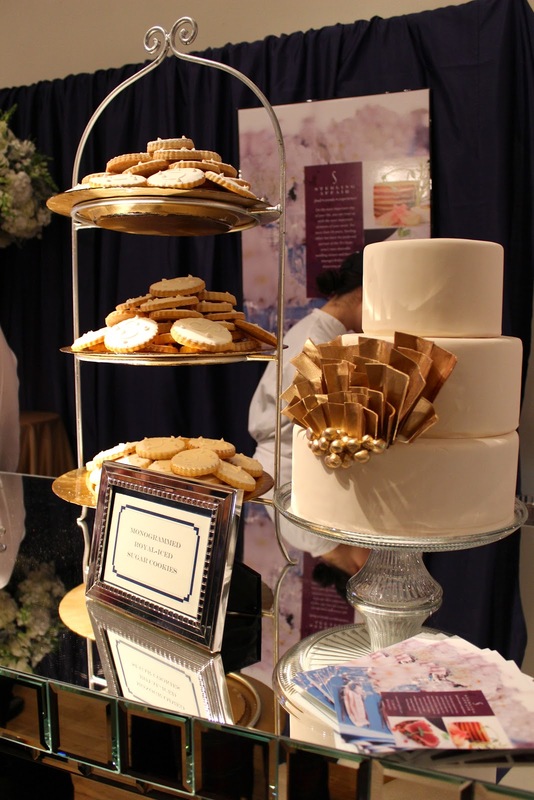 Sterling Affairs shows off some of their monogramed royal-icing cookies and equally regal cake. Sweet and savory treats by Livanos family owned Oceana for seafood lovers. Make-overs! Who doesn’t love to get themselves all made up and at no extra charge!? Below are just two of the few companies showcasing their makeup services at the event. 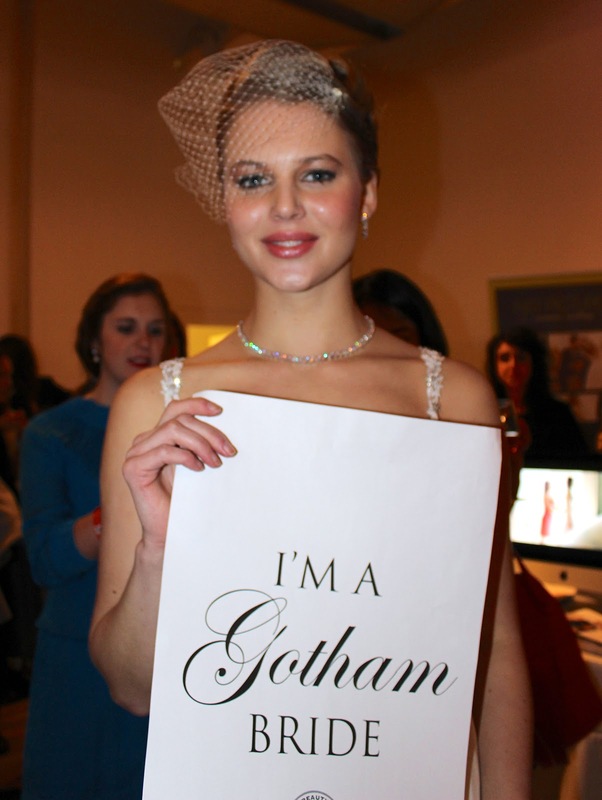 Gotham Beauty Lounge brought some makeup artists to show off some of their work. Sharon Slattery (below) is a very well known makeup artist who does wonders with an air brush. Here she is making over some very lucky brides-to-be. Wedding venues from New York City and international resorts were also present. Columbia University’s Faculty House brought a photo booth but no luring tactics were necessary to interest brides looking for an intimate old New York vibe. Housing Works‘ The Works Catering also had a table for the socially conscience bibliophile bride. BR Guest Hospitality providing some intoxicating chocolate pastries and mints while explaining their many curated services and resources. Hoping to lose weight or just become more fit for your big day? Crunch Fitness was there to discuss their services and provide free passes to their facilities. Do you have honeymoon locations on your mind? Hawaii Airlines was there to provide information and raffle off two swag filled travel cases. B Floral gave away small bouquets that were arranged right in front of your eyes. 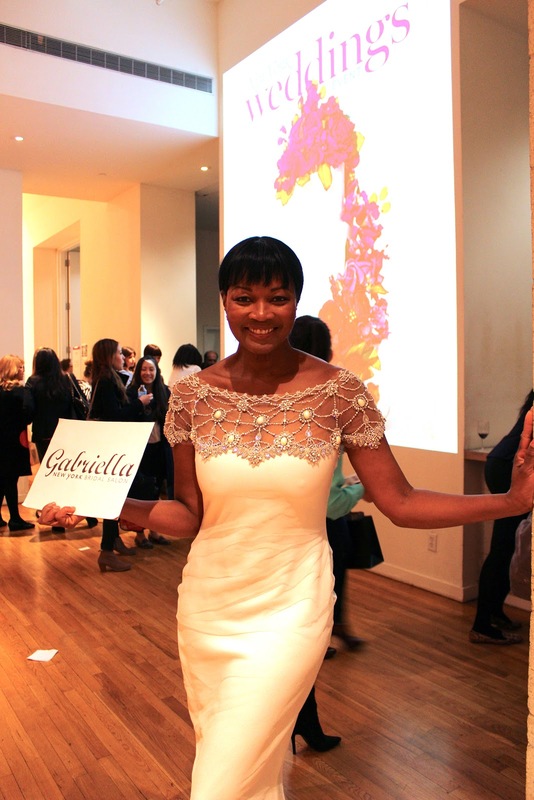 Hundreds of soon-to-bes walked through The Metropolitan Pavilion exploring the best of what New York Weddings has to offer. 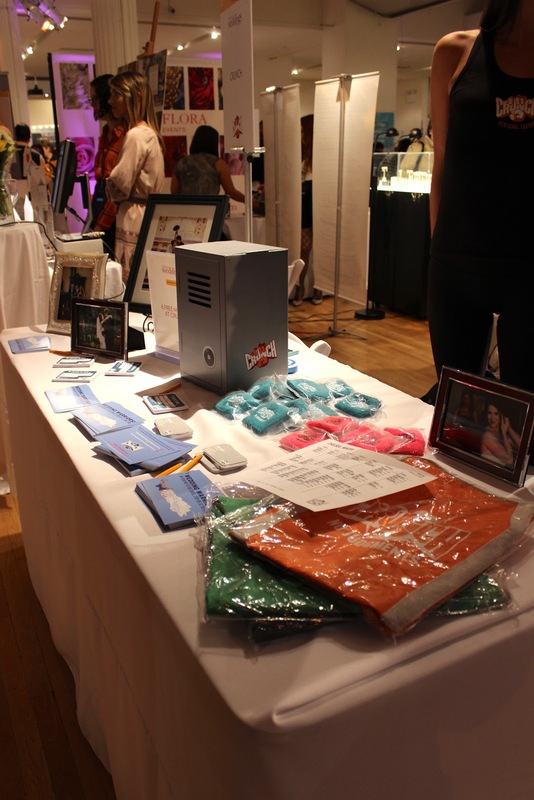 NY Magazine’s Weddings Event: The Gift Bag!